Editor’s note: The two candidates for president reached a negotiated power-sharing agreement Sunday for a national unity government in which Ashraf Ghani will be president and Abdullah Abdullah or his nominee will be included in the new government in a new role of chief executive officer. The agreement ended months of dispute over the vote count. Despite efforts to bring it about, we don’t have national unity in Afghanistan. My definition of national unity is where citizens have common values, goals and objectives, where you have a society of people who think about their common commitment and the fate of their people and homeland. We don’t have common values, we don’t have common targets or aims and we don’t think about a common fate of our people and country—not yet. But I believe the new government that has just been formed by a political agreement rather than a transparent vote count, will try to bring national unity by trying to bring together the ethnic groups. The main goal of Dr. Abdullah’s team was to make a government with a high level of reforms, while the goal of Mr. Ghani’s team was to bring some fundamental policy changes. Between the pressure of the intellectuals and civil society, I think the two sides will be forced to work for unity to regain people’s lost trust of Afghan politicians. The difficulties are that we have many ethnic groups and people prefer ethnic and tribal values over national values. There is a lack of trust and reliance among the many ethnic groups in Afghanistan. Different groups depend heavily on foreign countries with interests in Afghanistan to secure their benefits. We have lacked a loyal, dispassionate government that can support real participation of all the ethnic groups. On top of this there is a lack of awareness among Afghans about what they can gain from national unity. If we want to achieve real national unity—and become one nation moving ahead towards development—we will have to work hard for it. The new young, educated, and intellectual generation can be the main element to create the national unity by using their abilities to lessen the discrimination and lack of trust among ethnic groups. 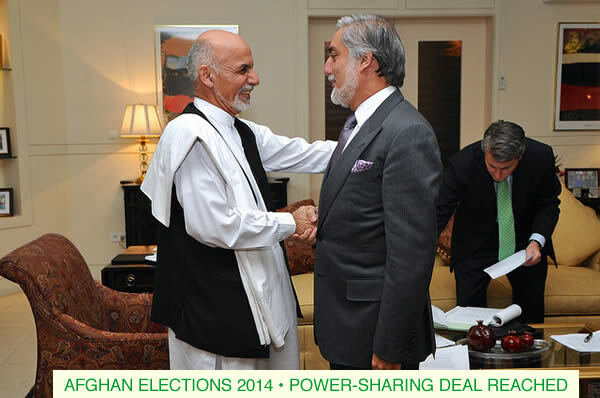 They can work to decrease the negative thinking and enmity among the people of Afghanistan. The existing war and security crises are created by the enmity and discrimination. If we can succeed in eliminating these issues, with the help of the foreign troops in Afghanistan we can bring peace and security and reach national unity in the future. Excellent essay, Zakia. Clear, strong, making critical points. As you say, if people don’t feel any benefit to a national identity, or that national unity leads to a better life than sectarian struggles, then unity will not be possible. And I say this as an American very aware that we don’t have national unity in our country–that we’ve had to struggle for every bit of unity we’ve ever achieved, and that there are many people who only care about their own (be it themselves, their families, their community, their face/group), and they refuse to see how if there is one group treated unfairly, that risks the peace/prosperity for all. Wishing the peacemakers and prosperity-creators power, energy, and success. It is really nice to see your article on the blog!! Congratulations! I really agree with Stacy’s comments about the strength of your essay. All people contribute to a nation! Just like all people contribute to a family. Everyone should benefit too. I am wishing peace and prosperity for your country.